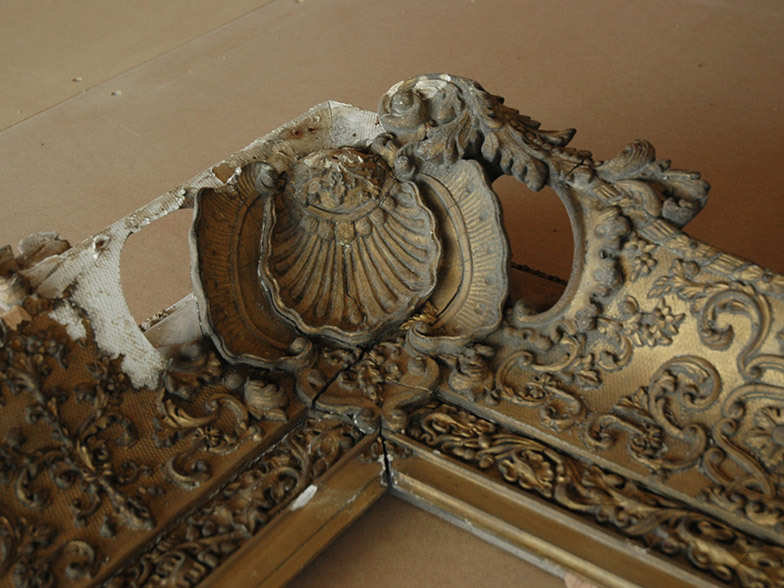 With giltwood or composition antique frames, depending on the amount of damage or loss, repairs are made by recasting or carving ornaments which are then gilded, all to match the original, thus preserving the originality of the structure and finish as much as possible. 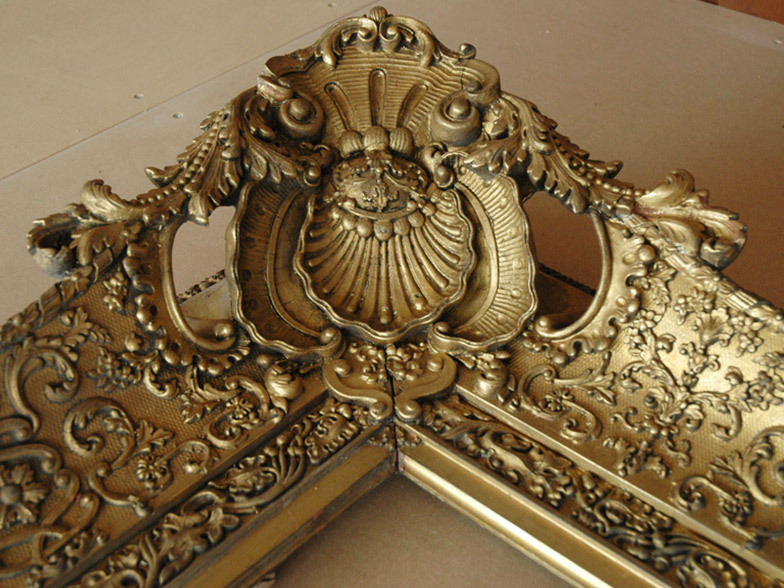 When required, we carry out re-gilding in both water and oil gilt using matt and burnished finishes all to match the original. 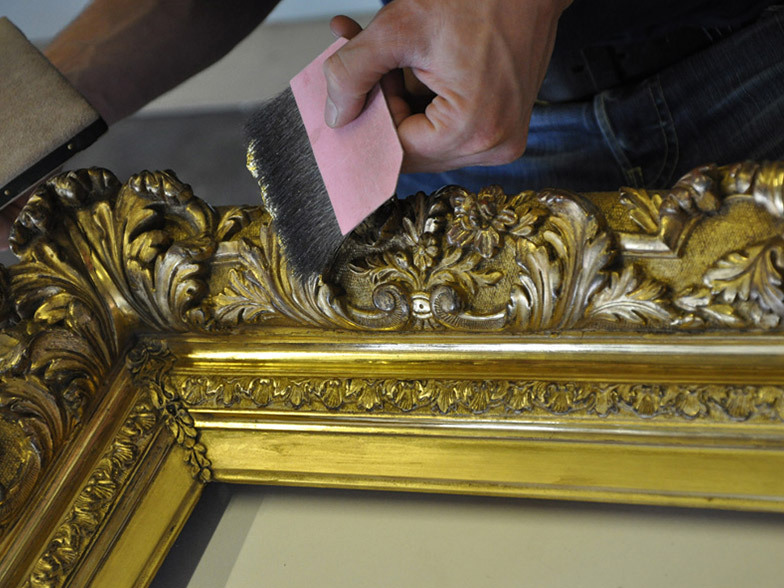 With Fine Timber Frames veneered in maple, rosewood or walnut, we make repairs, matching veneers for colour, grain and patina.